Our flexible, affordable ecommerce solutions are designed to help you reach your goals – whether you’re just getting started with a small business or are ready to grow your online E-commerce & Shopping Cart business. We give you all the tools and support needed to build and market your online business to sell online in today’s competitive marketplace. If you’ve realized the increasing potential of starting an online business, you’ve come to the right place. With unparalleled e-commerce software and ecommerce hosting, our ecommerce solution with storefront and advanced shopping cart software comes ready to use, and can be customized to meet the needs of your particular online business. online shop. Category, product, and other pages (e.g. search, best sellers, etc.) are dynamically generated by the software based on the information saved in the store database. to manage the online shop. The amount of store management features changes depending on the sophistication of the shopping cart software, but in general a store manager is able to add and edit products, categories, discounts, shipping and payment settings, etc. 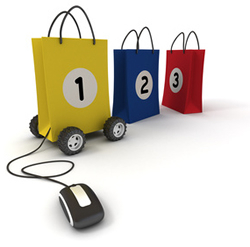 Order management features are also included in many shopping cart programs. Our shopping cart can be customized with number of payment gateways; including Paypal.